From Square Enix. 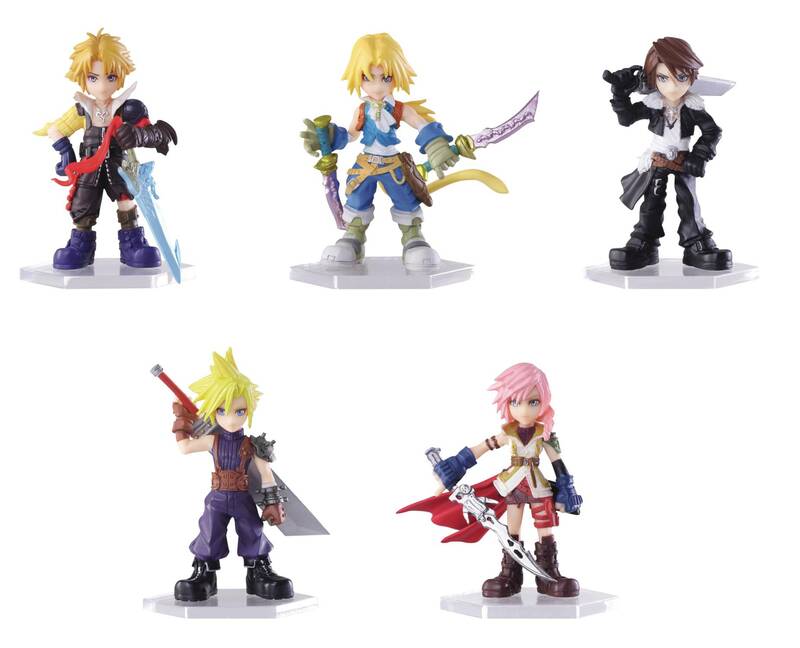 Popular Final Fantasy characters Cloud Strife, Lightning, Squall Leonhart, Tidus, and Zidane Tribal make an appearance as super-deformed mini figures! Even at less than two inches tall, Square Enix Products' signature detail work and craftsmanship are apparent. 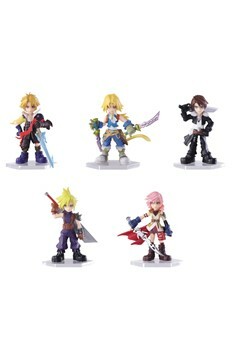 With the potential to display even in a small space, these five miniature figurines are must-have items for Final Fantasy fans!.